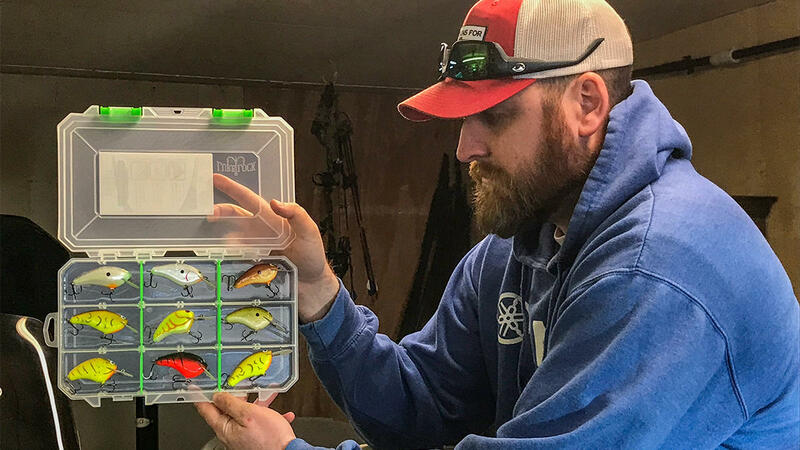 If you're tired of tangled hooks and damaged lures, this tackle box is certainly worth looking into. If you've read any of my articles, you're well aware that I'm an avid crankbait fisherman. I've collected a huge collection of hand-painted and hand-carved balsa plugs over the years and they're pretty darn expensive. To protect my investment, I've always tried not to let them get beat up in my tackle trays too much. Heck, I've even packed some of my most expensive ones in cotton balls. I don't want them to get chipped or cracked whatsoever. The Lure Lock Medium Cavity 3 has proven to be a near-perfect solution for keeping my collection safe. In the photo above, just those nine crankbaits are worth well over $200. I can put 'em in this box and they will not move an inch, whether I'm in rough water or I'm purposely turning them vertical or upside-down. I have ultimate peace of mind that my handmade plugs will be in perfect condition when it's time to use 'em. So what in the world makes 'em stick? 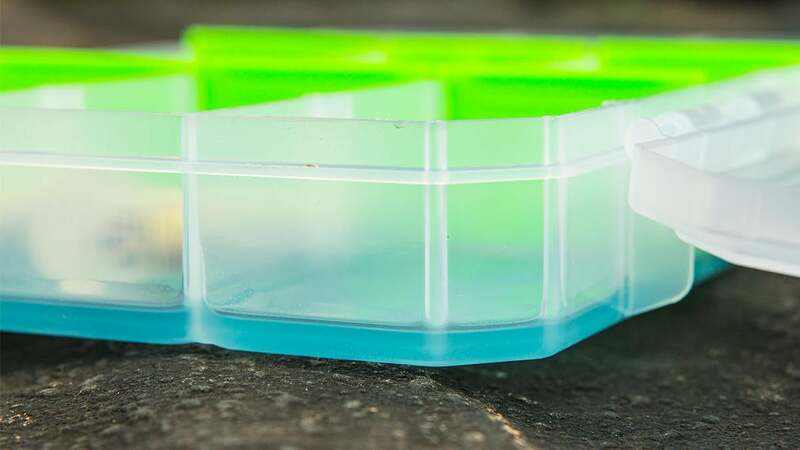 I wish I could tell you exactly what the stuff is, but Lure Lock calls it a "proprietary gel coating" that lines the bottom of each tackle tray. Admittedly, I had some concerns about it when I first got my hands on these boxes, but here's what I've learned so far. First, it does not leave any residue on your lures - that's what I was most worried about. 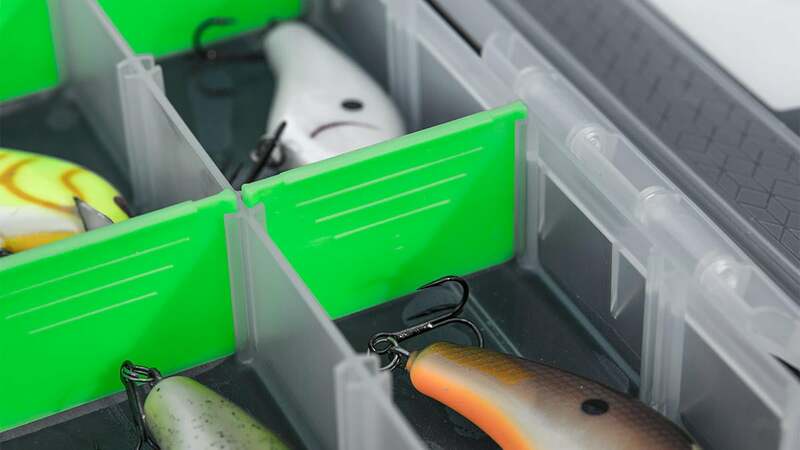 I've used these boxes with balsa, plastic and even cedar lures without any issues thus far. Each lures comes out cleanly and without any smell. I will say, however, that I haven't used these boxes in temperatures over 70 degrees so far. So I'll be interested to see how that gel holds up in these hot Georgia summers. Also, the gel seems to retain its tackiness even with wet lures. 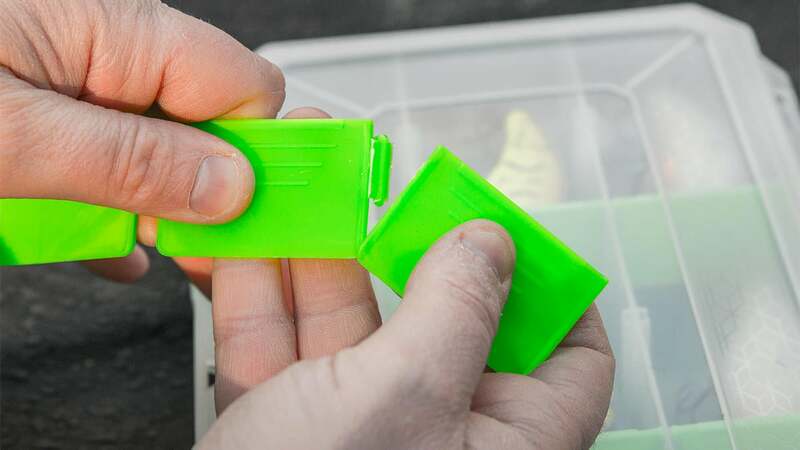 So when it's time to retie, you can put your recently used lure right into the box without any adverse affects. It feels somewhat similar to fly paper, but without the residue. You can press your fingers into it and you'll notice zero stickiness afterwards. There's much more to these boxes than the gel we just talked about. I have been thoroughly impressed by their Snap-Apart Dividers. One of my least favorite tasks every late winter has been intricately cutting leftover tabs off of plastic dividers to ensure they fit snugly into my new tackle trays. It's maddening to me! Thankfully, these dividers snap apart perfectly each and every time. As you can see, they fit into the slots snugly and do not fall out or allow hooks and swivels to slide underneath them. I can put a Lure Lock box together in under a minute; no problem at all. I have never attempted to snap a divider apart without it working perfectly. This is one of those things I wish I had thought of, to be honest. 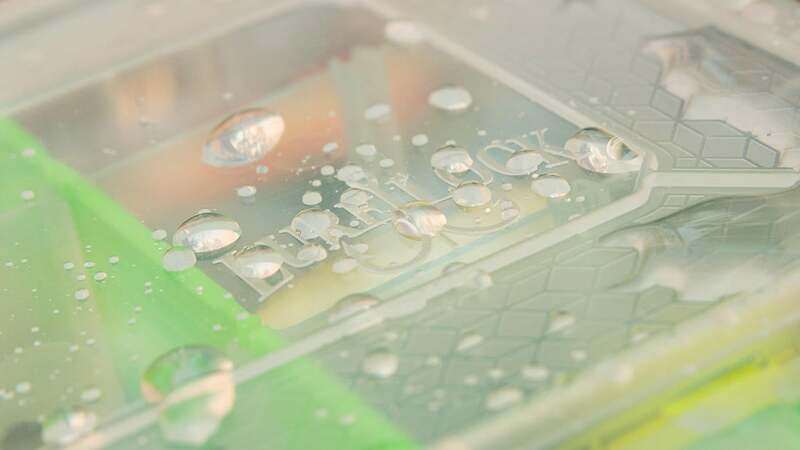 So far, these boxes have certainly passed the waterproof test. I've left them in damp boat compartments and for this photo, I even sprayed it directly with a water hose for a full minute. I have never had a single drop of water in them so far. I trust these boxes with some of my most expensive tackle. 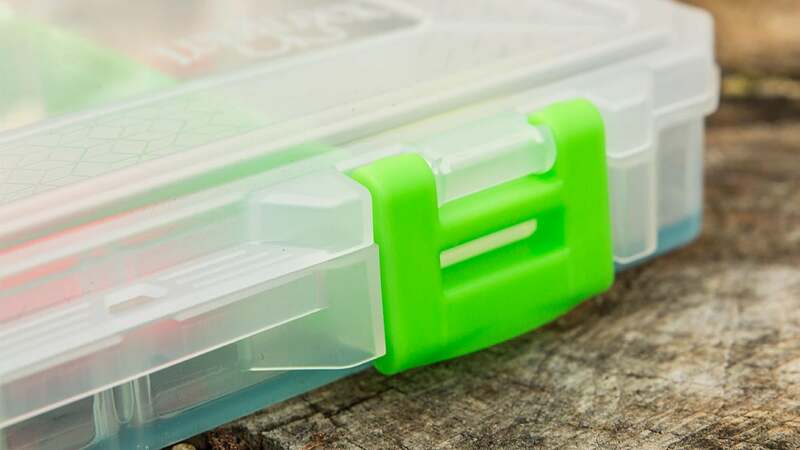 These are very good tackle trays and I can't really find anything I dislike about them. I'm not huge on the neon green, but then again, bass fishing isn't a fashion show. These boxes are legit, so I'd suggest getting your hands on some. Check 'em out for yourself and let me know if you agree with my assessment. I think you'll be quite impressed. The Lure Lock Medium Cavity 3 is available at TackleWarehouse.com.